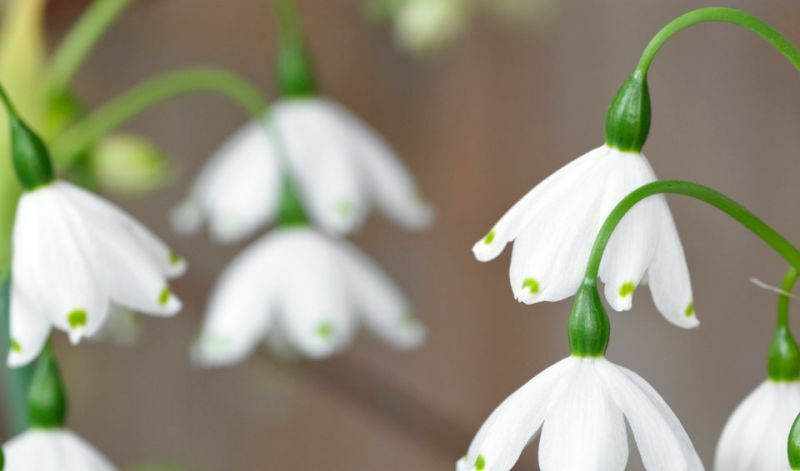 Depending on the bulb size, 3-5 bell-shaped flowers (all with yellow-green spots at the tips of its 6 petals) dangle from each long, fairly sturdy flower stem. In borders, rock gardens, under shrubs and trees and as cutflowers. (Besides the species itself); 'Gravetye Giant' (larger flowers on taller stems; 20-24" = 50-60 cm). Leucojum are native to central and southern Europe, from the Pyrenes to Romania and western Russia. They have now also been introduced and have naturalized in many other areas including the East coast of North America.